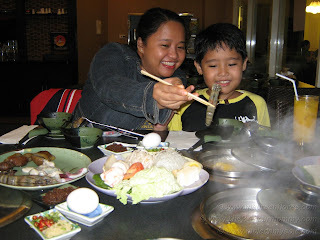 For the longest time, my family has been planning to have a shabu-shabu dining experience. 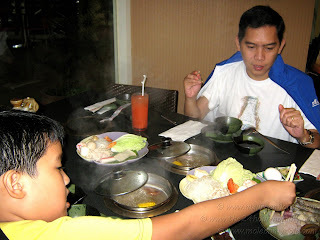 Once, I have tried making shabu-shabu at home. It was less expensive and enjoyable at the same time. 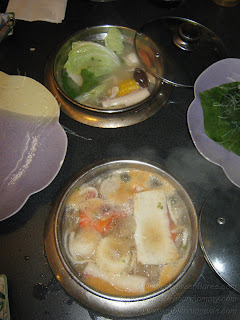 Shabu-shabu is a Japanese hotpot dish. 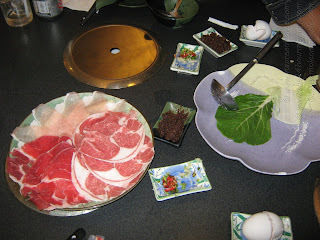 It is like Sukiyaki because both dishes use thinly sliced meat and dipping sauces but shabu-shabu is less sweet. Thousand Cranes is a Japanese restaurant in Eastwood Mall that serves mini shabu-shabu. By having mini servings of the dish, each customer is able to customize his/her own hotpot with the main ingredients of his/her choice. 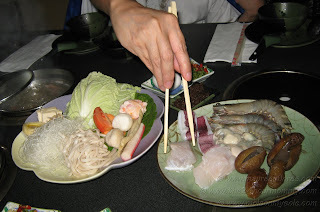 We ordered two sets of mini shabu-shabu dishes: Mixed Seafood and Mixed Meat. Both sets come with a plate containing cabbages, tofu, meatballs, crab sticks, mushrooms, corn, noodles, spices, and seasoning. The Mixed Seafood set had squid, shrimps, oysters, and white fish. The Mixed Meat set had thinly-sliced beef, lamb, and pork pieces. After our hot pots were prepared and the the base soup was poured in, we were basically left to ourselves. There are actually no standard steps in what ingredients should be put in first. I just told my boys to put in the corn first because it was the one that needed the most time for cooking. Once the corn was half-cooked, all the other ingredients followed one by one. Aside from the hot pot sets, we also ordered a plate of Gyoza or Japanese dumplings, and glasses of juice. 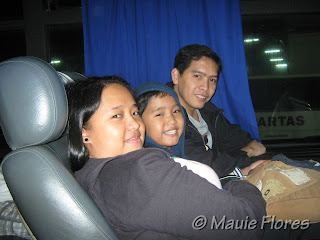 Our bill for the entire spread was around Php 1,300. Thousand Cranes is located at the 2/F Eastwood Mall Veranda, Eastwood City, Libis. 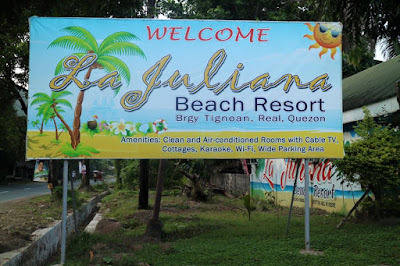 Contact (0922) 850-9006 for reservations.